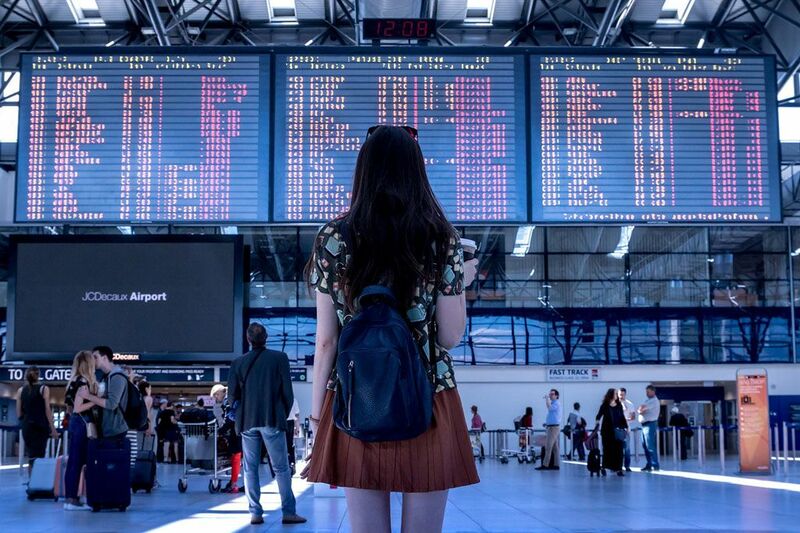 The International Air Transport Association (IATA) announced global passenger traffic results for 2018 showing that demand (revenue passenger kilometers or RPKs) rose by a healthy 6.5% compared to full-year 2017. Although this represented a slowdown compared to the 2017 annual growth of 8.0%, it was another year of above-trend growth. Full year 2018 capacity climbed 6.1%, and load factor edged up 0.3 percentage point to a record 81.9%, exceeding the previous high set in 2017. December RPKs rose 5.3% against the same month in 2017, the slowest year-over-year pace since January 2018 and a continuation of the trend that saw demand growth decelerate to an annualized rate of 5% over the course of the 2018 second half compared to a 9% pace in the first half. “2018 was another year of strong passenger demand, as aviation continued to support the global economy. We expect similar, if somewhat moderating performance in 2019. Nevertheless, slowing growth in the second half of 2018, coupled with concerns over issues including Brexit and US-China trade tensions, are creating some uncertainty to this positive outlook,” said Alexandre de Juniac, IATA’s Director General and CEO. International passenger traffic in 2018 climbed 6.3% compared to 2017, down from 8.6% annual growth the year before. Capacity rose 5.7% and load factor climbed by 0.4 percentage point to 81.2%. All regions recorded year-over-year increases in traffic, led by Asia-Pacific. However, North America and Africa were the only two regions to post stronger demand growth in 2018 compared to the prior year’s performance. Asia-Pacific airlines’ 2018 traffic rose 7.3%, compared to 2017, driven by robust regional economic expansion and an increase in route options for travelers. Although this was a slowdown from the 10.5% year-over-year growth recorded in 2017 versus 2016, it was strong enough to lead all the regions for a second consecutive year. Capacity rose 6.4%, and load factor ticked up 0.7 percentage point to 80.6%. European carriers’ international traffic climbed 6.6% in 2018 compared to the previous year, which was down from 9.4% growth the year before. Capacity rose 5.9% and load factor increased 0.6 percentage point to 85.0%, which was the highest for any region. On a seasonally-adjusted basis, traffic growth has softened a bit in recent months, likely owing, in part, to uncertainty over the economic backdrop and Brexit. Middle East carriers’ traffic increased 4.2% last year, down from 6.9% growth in 2017. It was the second year in a row of moderating demand growth. Capacity climbed 5.2% and load factor slipped 0.7 percentage point to 74.7%. The deceleration in growth reflects the impact of policy measures and geopolitical tensions, including travel restrictions and the temporary ban on large portable electronic devices. Traffic actually declined 0.1% year-on-year in December, but this may reflect volatility in data. North American airlines had their fastest demand growth since 2011, with full-year traffic rising 5.0% compared to 2017, an increase from 4.7% annual growth in 2017. Here too, however, demand growth slackened noticeably in the last two quarters. This may be owing to increasing concerns over the US economic outlook and trade tensions with China. Capacity climbed 3.7%, and load factor edged up 1.0 percentage point to 82.6%, second highest among the regions. Latin American airlines’ traffic climbed 6.9% in 2018, a slowdown compared to 8.8% annual growth in 2017. Capacity rose 7.7% and load factor dipped 0.6 percentage point to 81.8%. Traffic was affected by the mid-year general strikes in Brazil as well as by political and economic developments in some of the region’s other key economies. African airlines saw 2018 traffic rise 6.5% compared to 2017, which was an increase compared to 6.0% annual growth in 2017. The strong performance took place in spite of the mixed economic backdrop of the continent’s largest economies, Nigeria and South Africa. Capacity rose 4.4%, and load factor jumped 1.4 percentage points to 71.0%. Domestic air travel climbed 7.0% last year, which was unchanged from the rate in 2017. All markets showed annual growth, led by India and China, which both posted double-digit annual increases. Capacity rose 6.8% and load factor was 83.0%, up 0.2% percentage point compared to 2017. India’s domestic market posted the fastest full-year domestic growth rate for the fourth consecutive year, with an 18.6% annual demand increase. Domestic demand is underpinned by robust economic expansion and increasing numbers of city pairs. “Aviation continued to demonstrate why it is the Business of Freedom in 2018. We safely transported more than 4.3 billion passengers. These people used air connectivity to conduct trade and business, reunite with friends and loved ones, explore the world, and, in some cases even to begin new lives. Aviation makes the modern world possible, but we depend on borders that are open to people and trade to be effective. In 2019, we will be strong advocates against a rising tide of protectionism and trade conflict, so that the Business of Freedom can continue to do its part to make the world a more prosperous and happier place,” said de Juniac.